Investing in a roof inspection is a cost-effective way to ensure your roof is working exactly as it should be. Sure, you might think everything is fine and dandy up there, and it may be easy for you to brush off a roof inspection in the name of saving money — until it isn’t, and you find yourself knee-deep in expensive emergency roof repair costs. Luckily, at Endeavor Exteriors, we offer high-quality roof inspection services as well as other roofing services for our clients — new and old. We know the important role your roof plays in keeping those who reside under it safe and secure, which is why we highly recommend that our clients schedule a roof inspection at least twice a year. Want further details about the cost and what to expect during a roof inspection service? Contact us today to get started. Continue reading below to learn more about how a roof inspection can save you money in the long run. You can find structural damage before it becomes a bigger (more expensive) problem. With the exception of your shingles, your property’s structure can be compromised when exposed to water infiltration. Since most structures are made out of wood, they can easily rot and result in structural issues when water damage isn’t properly and promptly taken care of. When water damage gets beneath your roof’s shingles, this issue usually calls for a full roof replacement, which is notably more costly than a minor repair. The lifespan of your roof ultimately comes down to how well you take care of it, so it’s extremely important to have a preventative approach when it comes to the condition of your roof. 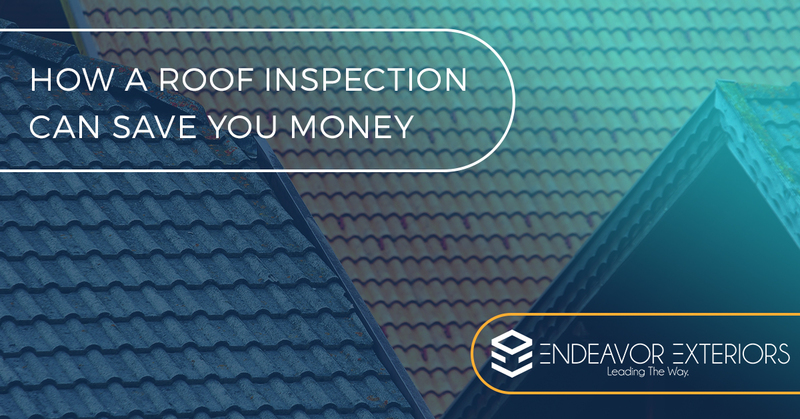 Sure, the upfront cost of paying someone to inspect your roof may initially seem ridiculous, but your future self will thank you if a minor issue is addressed and you can tackle it before it becomes a larger problem. You’ll be the first to find mold contamination. During our roof inspections, we’ll look for any signs of mold or mildew both on the exterior and in the interior of your property. Why do we do this? Because when this toxic substance starts to grow, it not only destroys the structural integrity of your roof and can grow to other parts of your property, but it also can cause a plethora of health problems for those who reside in your home or multi-family building. You’ll be one step ahead in regards to issues with your shingles. Your shingles are essentially the most protective layer on your rooftop. Once your shingles become compromised, you open yourself to an array of roof problems that can call for a roof repair or roof replacement. When you invest in a roof inspection, you’ll know the exact condition of your shingles and repair them before their conditions worsen. You can reap insurance benefits. If a homeowner or property owner is in a roofing kerfuffle but has shown signs of extreme negligence in the past regarding their roof’s condition, insurance companies won’t typically show any signs of sympathy or remorse. For example, if your roof is always leaking and you never do anything to repair it, your insurance may not compensate you for any emergency cost repairs you might need in the future. Whenever you receive a roof inspection, save any documentation of doing so, as this might come to your benefit if you experience any major damages and need to utilize your insurance company to help pay for the costs. When it comes to roof inspection services, we offer some of the best at Endeavor Exteriors. Our team of Denver roofers is professionally trained to look for the main pain point areas on your roof, and with more than 75 years of combined experience, we know we can easily and efficiently find them. Learn more about the regular roof maintenance services that we offer homeowners here and multi-family property owners here. Ready to schedule your next roof inspection with our team of roofers? We service the Denver area as well as surrounding communities and suburbs such as Arvada, Cherry Creek, Thornton and more. Call us today for more information or to schedule a consultation. You can reach us by calling (720) 464-3472 or by filling out our online form.